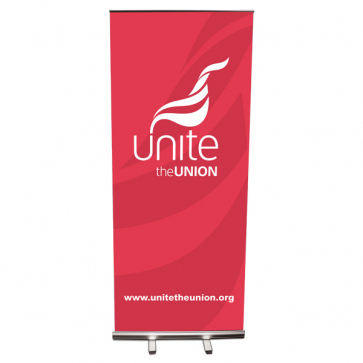 This roller banner stand is a popular and versatile banner which is ideal for exhibitions or showroom graphic displays. Good quality block out full colour graphic banner with carry case. With the generic Unite Logo.